"THE OZ EFFECT" part one! 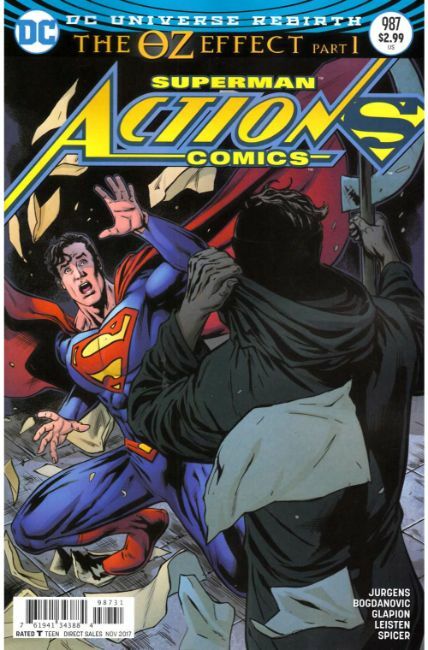 The agents of the mysterious Mr. Oz begin to move as the Man of Steel works to stop the chaos they unleash in Metropolis and across the globe. But when Mr. Oz steps from the shadows his identity rocks the Last Son of Krypton to his core. The story that began in DC Universe: Rebirth #1 begins to end here!